One of the magical things about picture books, and books in general, is when the characters take hold of us and become more than simple creations on a page but actually become real and enter our hearts. There are many wonderful characters and I think each of us will feel a special attachment to more than one (I've always loved Charlotte from Charlotte's Web so much so that BookBairn is named after her) but for children it's wonderful to watch them make a new friend in the pages of their favourite stories. They are often the stories that we end up reading again and again. And there has to be a little bit of magic about that particular character if they are to stand out amongst the rest. My Top Five Picture Books - making this list is no mean feat I tell you! 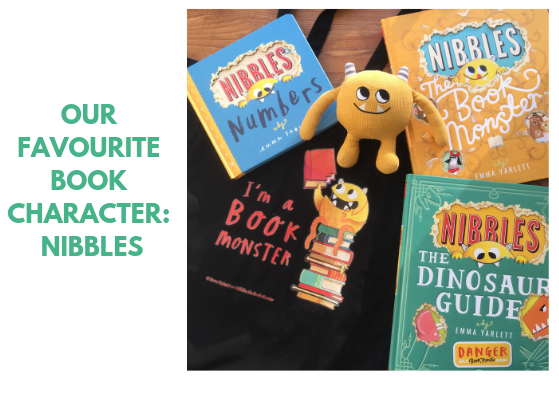 Nibbles has a firm place in our hearts and BookBairn was lucky enough to be sent a Nibbles plush by the publisher who she now sleeps with every night. To say we love him selling it short! 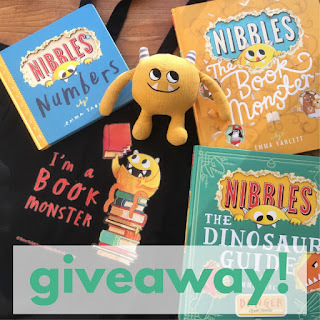 Nibbles is a book nibbling terror who has now munched his way through countless fairytales and even a dinosaur anthology. He has an insatiable appetite for books and munches his may through BookBairn's bookshelves on a daily basis. And now he is back nibbling his way through a book of numbers. Little ones can count along with Nibbles as he chomps his way from one to ten! From the first page flap, to all the delightful little finger-sized cut-out holes in each page (corresponding to the number of bites Nibbles has taken), there's so much for little ones to explore. With bright and inviting colours and tactile holes to count together this is a number book that provides more than simple number teaching. The rhyme scheme makes it enjoyable to read aloud and allows little ones to predict the next number in some pages. BookBairn alos enjoys that Nibbles, like in the previous books, has nibbled a hole in the back of the book and escaped! But even more than that she likes to read the book backwards, counting down the numbers and shutting Nibbles back into his crate on the final page. Such a versatile little book! And as it's a board book The Wee Page Turner is safe to explore the pages too! Conceptually clever and innovative, the Nibbles series works on multiple levels - little ones like The Wee Page Turner enjoy following the mischievous little character and feeling the cut outs and peeking through the pages. And older children like BookBairn will recognise the numbers, dinosaurs or fairytales (depending on the book) as well as adoring Nibbles's trouble-making as well as make fun nibbling sounds as you read! The illustrations are sensational! Nibbles is mischievous and yet is still adorable. He will charm his way into your heart as he has ours. Who is your favourite book character? We would love to know! Happy book-nibbling! 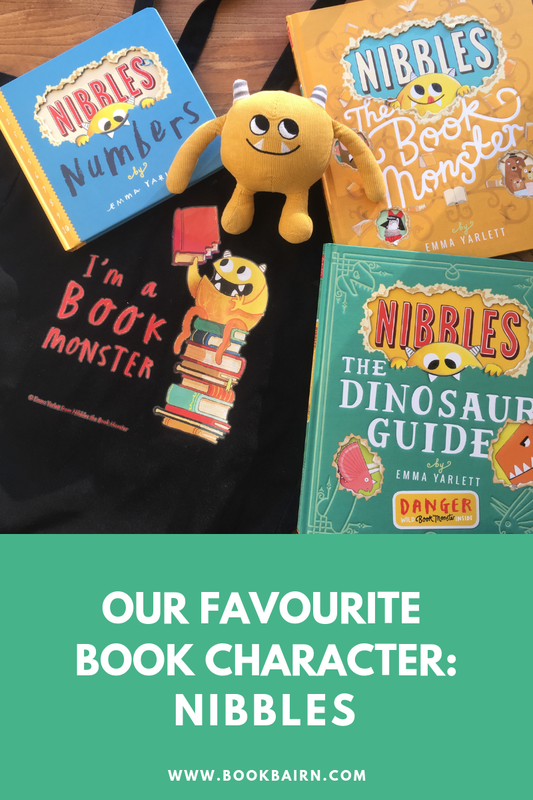 And watch out for a book monster on the loose! 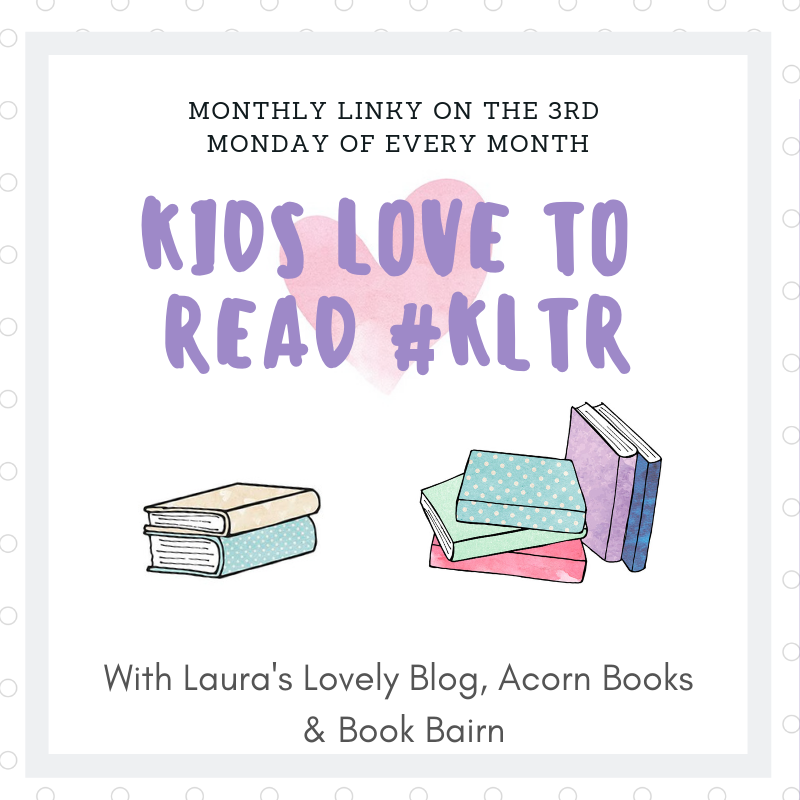 Nibbles (aka Dimbles) is also one of my favourite characters and I look forward to reading this one with BookBairn and the Wee Page Turner. You will love it! And I know you're a Dimbles fan! He will always have a special place in my heart! He's so loveable even though he's naughty! That is a crime! I'm not sure we can be book friends anymore? Just kidding! But seriously you need to check out if your library has them!